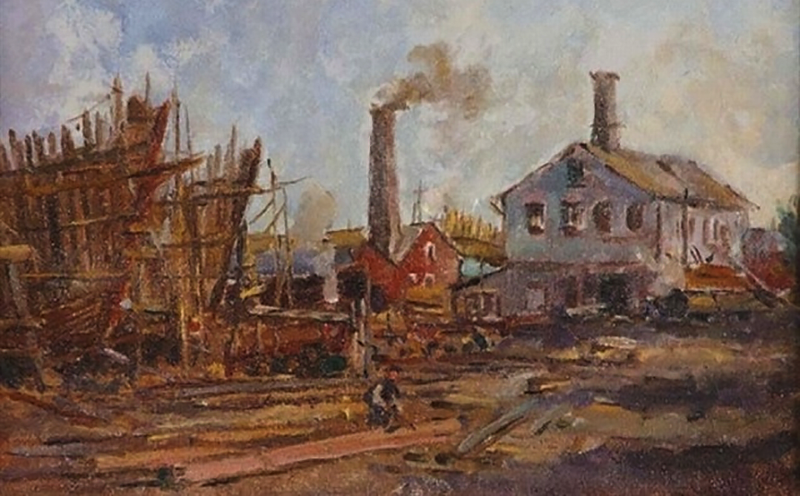 Palmer's Shipyard, Connecticut, c. 1910, oil on board by American artist Reynolds Beal (1867–1951). Noank shipbuilder Robert Palmer is featured in Dreiser’s story. Fictionalized to various degrees, the twelve sketches depict both good Samaritans and individualists—and a few men who can be seen as both. The first six feature acquaintances who Dreiser regarded as successful; the final six are failures in spite of their virtues. The couple eventually traveled together to Los Angeles, where Helen managed to get roles in movies, including a supporting role in Rudolph Valentino’s first film, The Four Horsemen in the Apocalypse. 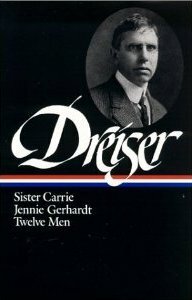 Dreiser’s attempt to sell movie scenarios in Hollywood came to naught, but while they lived in California he began work on An American Tragedy. Theodore and Helen remained together for the next quarter century and finally married in 1944, the year prior to Dreiser’s death. Notes: On the first page of the selection is a reference to Parson Thirdly, a character who appears in Thomas Hardy’s novel Far from the Madding Crowd and his poem “Channel Firing.” The parson’s name is a mocking reference to the habit of dividing sermons into enumerated paragraphs. Decoration Day (page 1043) was observed after the American Civil War as a time to decorate the graves of dead soldiers; after World War II, it became more widely known as Memorial Day. Founded in 1866, G.A.R. (Grand Army of the Republic) was an organization of Union veterans of the Civil War; at its height, there were hundreds of posts across the country. In a certain Connecticut fishing-town sometime since, where, besides lobstering, a shipyard and some sail-boat-building there existed the several shops and stores which catered to the wants of those who labored in those lines, there dwelt a groceryman by the name of Elihu Burridge, whose life and methods strongly point the moral and social successes and failures of the rural man. . . . If you don't see the full selection below, click here (PDF) or click here (Google Docs) to read it—free!